We are excited to launch our last Call for Head-Organisers for the academic year 2015/16. 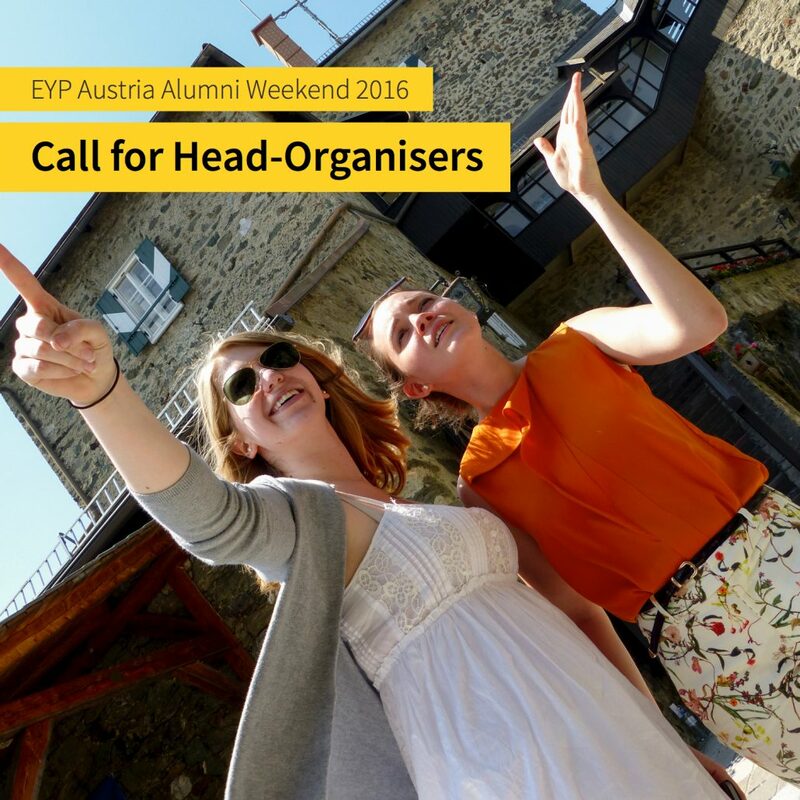 Following the National Youth Summit in Salzburg and the International Forum in Vienna, the Alumni Weekend will be EYP Austria’s last important event of this season and we are looking for one or two motivated individuals who would like to lead a team of Organisers and put together an unforgettable weekend for our Members. The Alumni Weekend is an important event for our National Committee. It is a weekend for both training and socialising, thereby leaving a lot of room for creative ideas and innovative concepts put together by the Head-Organiser(s). Similar to last year, we also want our General Assembly 2016 to be included in the programme of the Alumni Weekend. With your application, we want to get to know you, understand your motivation to head-organise and get a grasp of your vision for EYP Austria’s Alumni Weekend 2016. To apply, please fill in the application form and submit your (joint) application to applications@eypaustria.org by Friday, 8 April 2016, 23:59 CEST. Due to practical reasons, only applications submitted as PDF files will be considered. Late applications will not be accepted. The Call has been extended.